Beat the gloomy weather with hearty bowls of comfort. Why eating spicy food actually cools you down during hot summer days. 3 countries you can grill all year. 3 tips for an easy, breezy cookout. Can you guess these footballers’ favorite dishes? Footballers and their favorite food. Do the French even grill? Who Said You Can’t Eat Healthy At A Football Party? 10 healthy ideas for your football party. Become a charcoal grill master with these 4 expert tips! We regularly hear from Q owners who are surprised how well these grills barbecue food no matter where they take them. 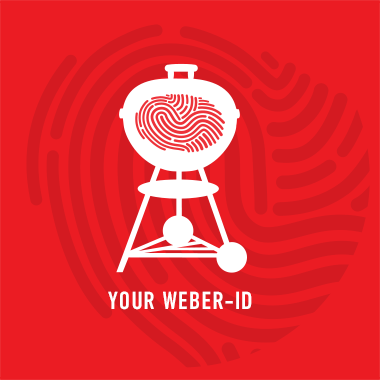 The Smokey Joe provides consumers with a smaller size Weber kettle barbecue to take camping, picnicking or to the beach. Celebrating 65 years of innovation! Nothing amplifies a good match like the friends you watch it with—even if you don’t support the same team. With just a few games left to go, hurry up and invite a few friends over. Undercooking your food is the quickest way to scare off your friends and neighbors. Take back your title of “Grill Master” by knowing the internal temperatures of the various kinds of meat. How To Prevent Rust On Cast Iron Grates? Many of our grills come with porcelain enameled cast iron (PECI) cooking grates and they are incredibly popular. How To Create An Instagram-worthy Meal? Over a decade ago, I discovered I have a problem. I love to photograph grilled food.